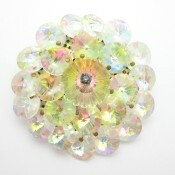 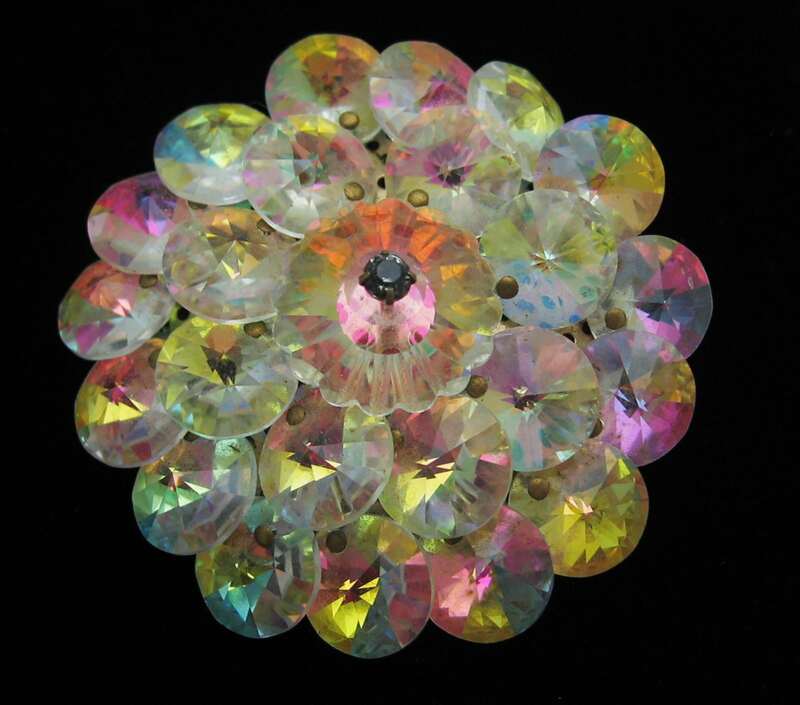 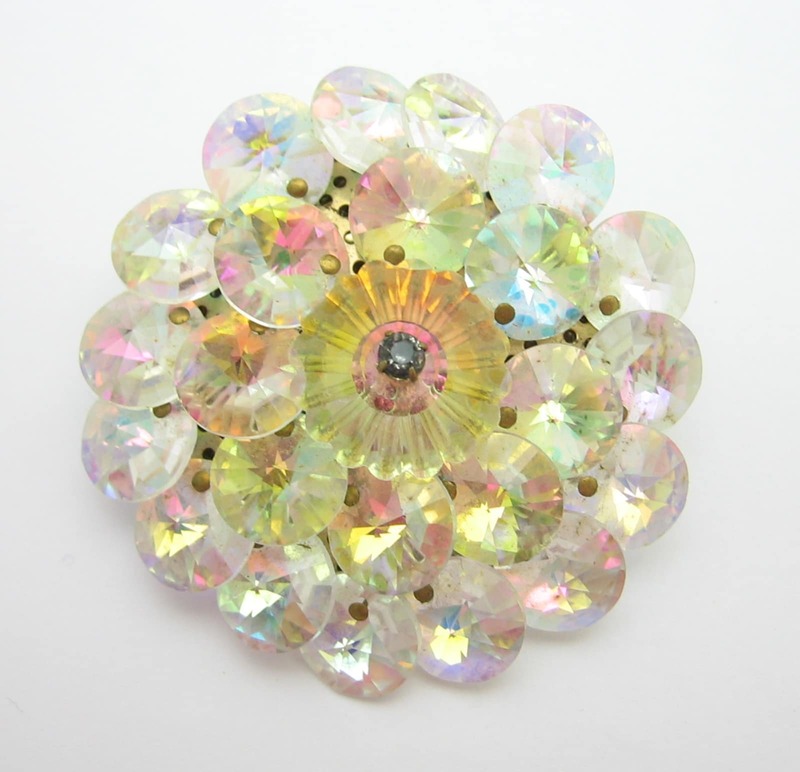 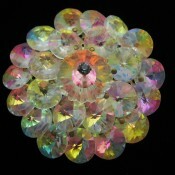 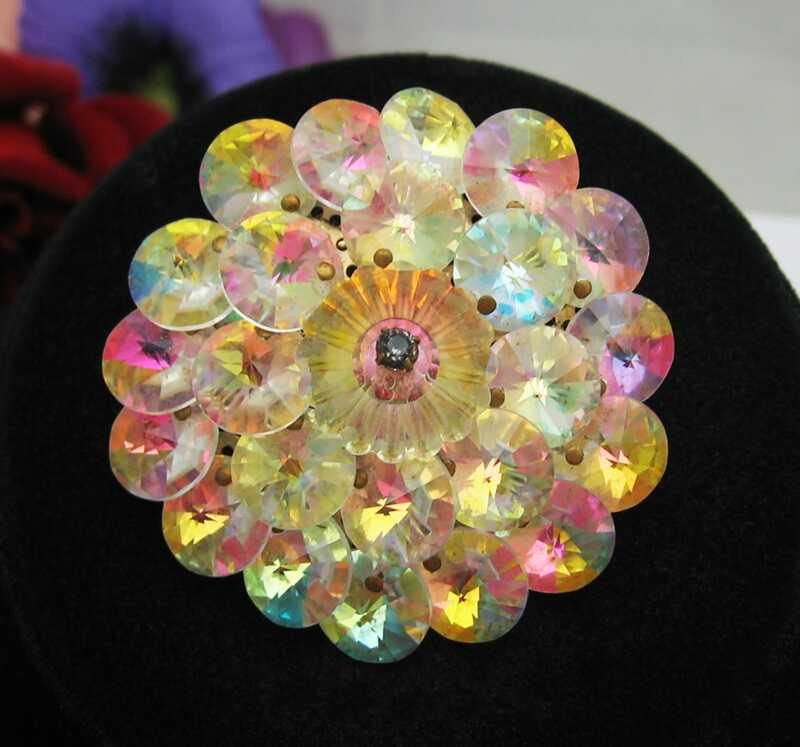 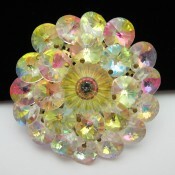 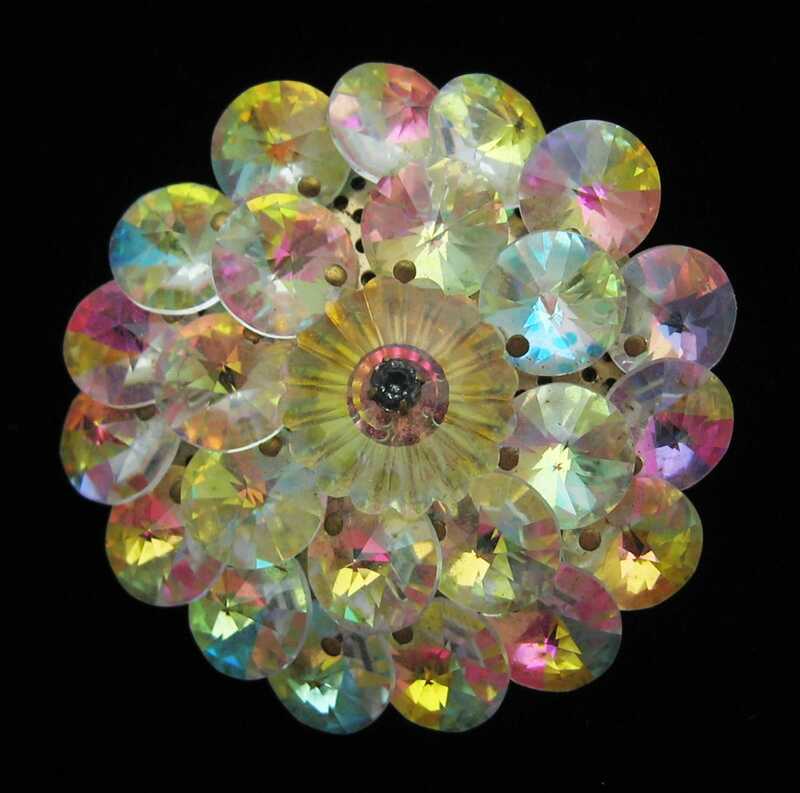 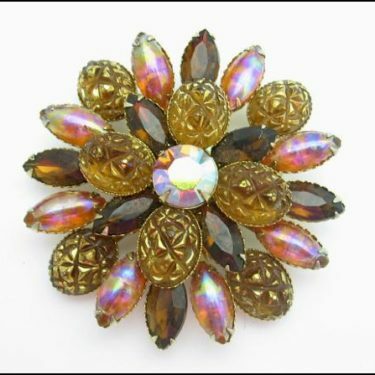 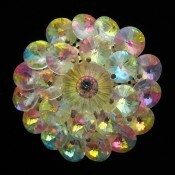 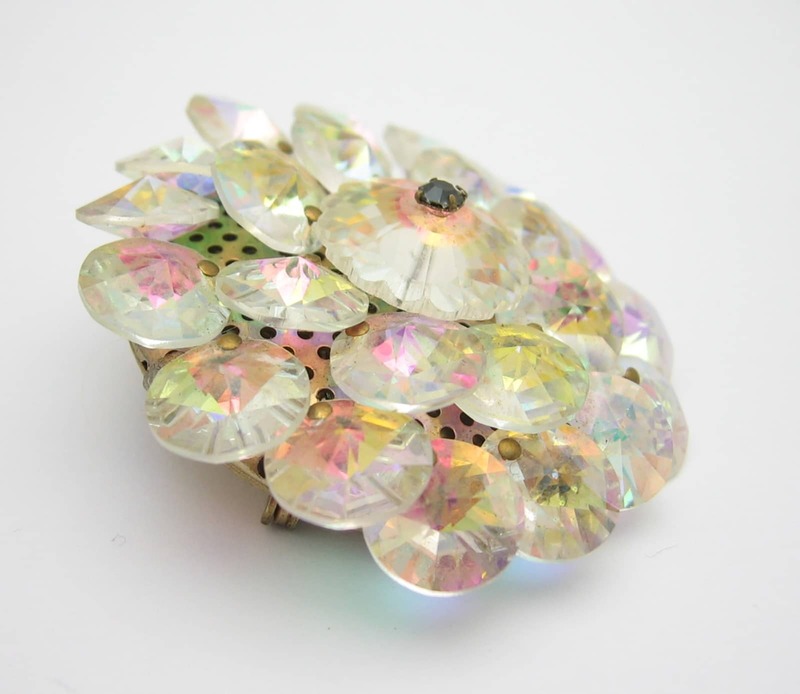 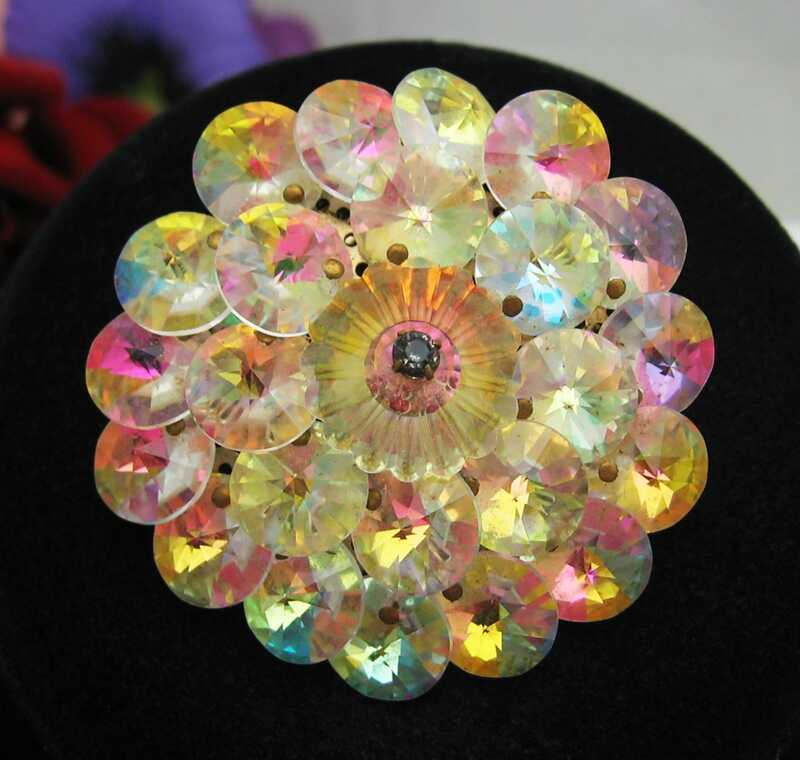 This Aurora Borealis Rivoli Crystal Bead Brooch has a large center bead that is flower shaped! 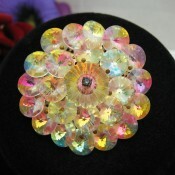 It is topped by a dark round rhinestone. 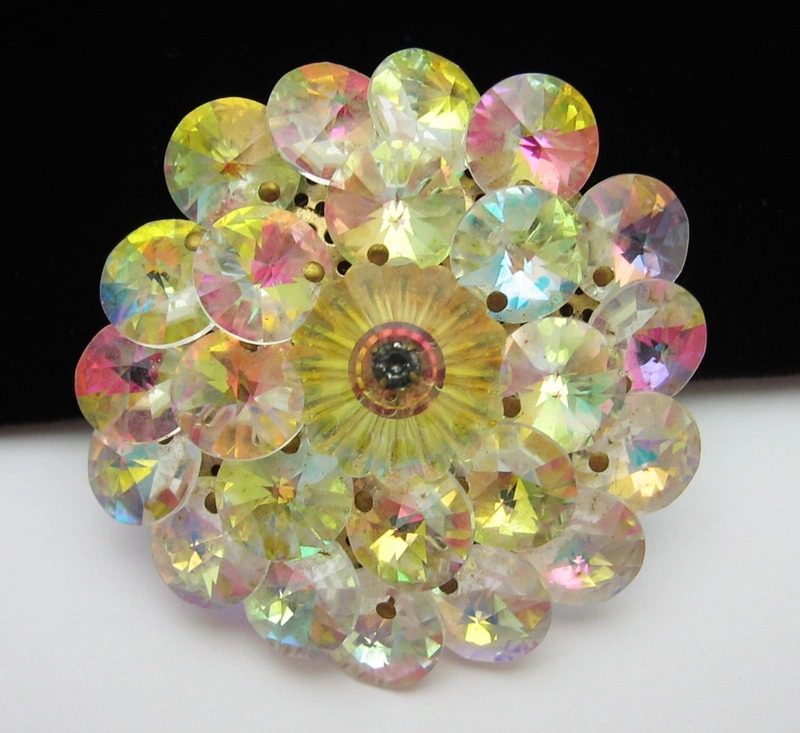 The beads then are in two rings around that center, with the beads slightly overlapping. 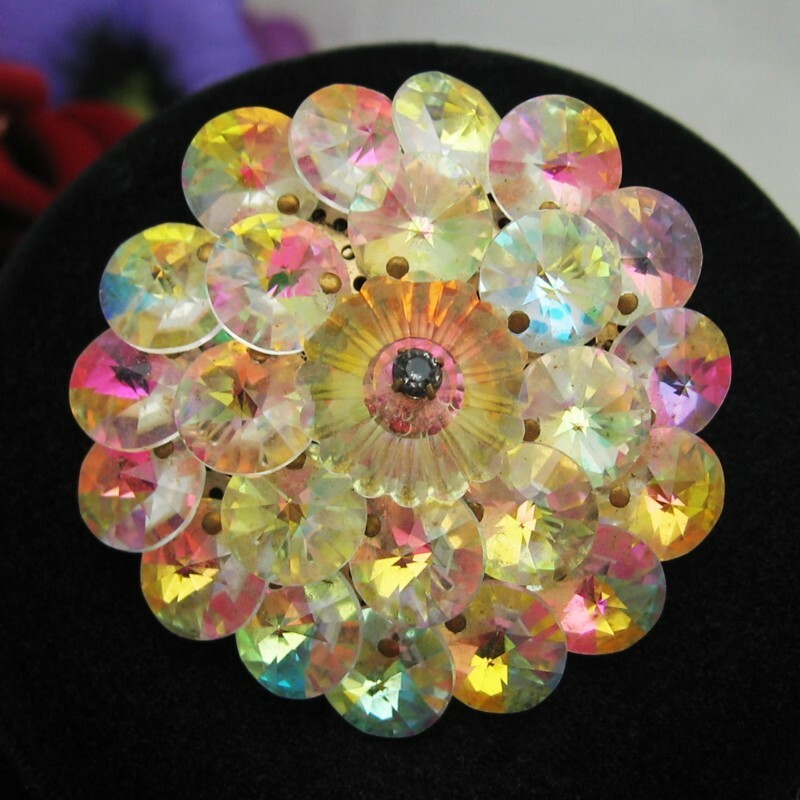 The beads are pin set. 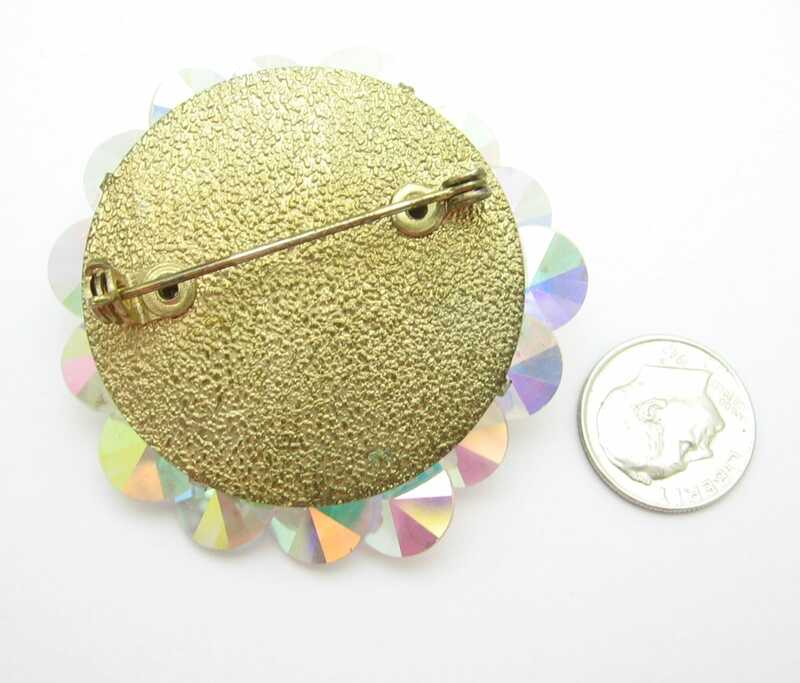 SKU: 1045. 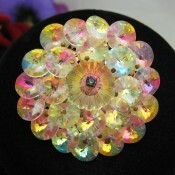 Categories: Brooches/Pins, Crystal and Glass. 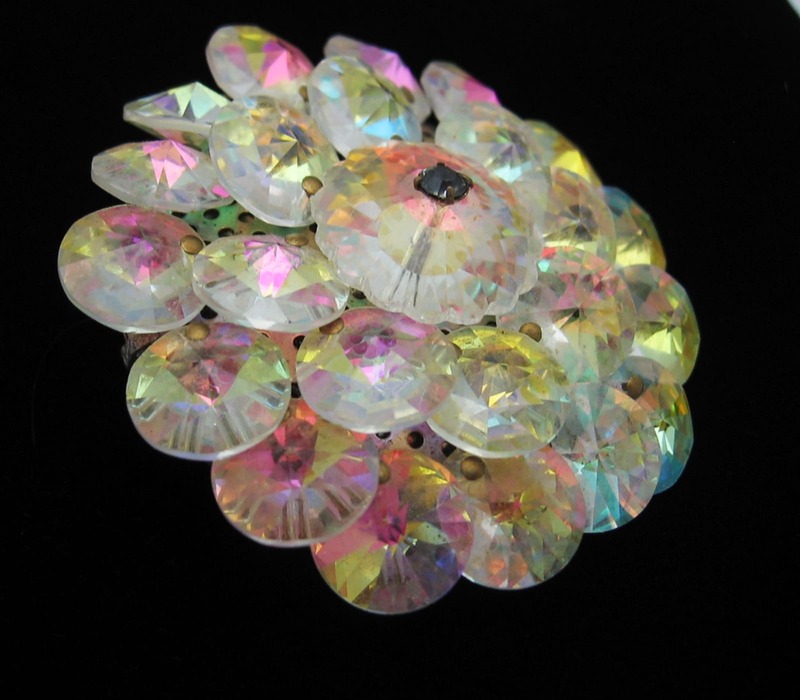 CONDITION: This piece of jewelry is in used condition. 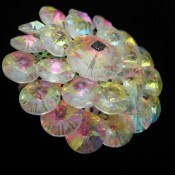 The clasp is in full working order. The center rhinestone is dark, uncertain if by nature or if its a clear stone gone dark with age. 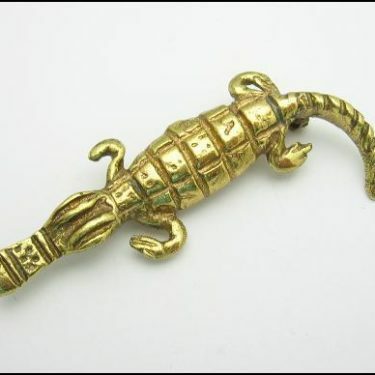 There is scratching and finish wear present. 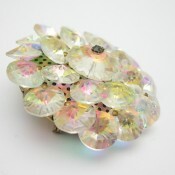 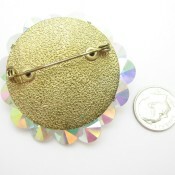 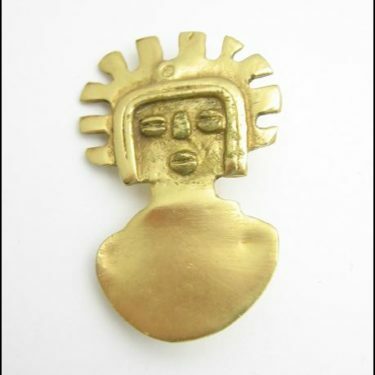 Huge CORO Vintage BROOCH! 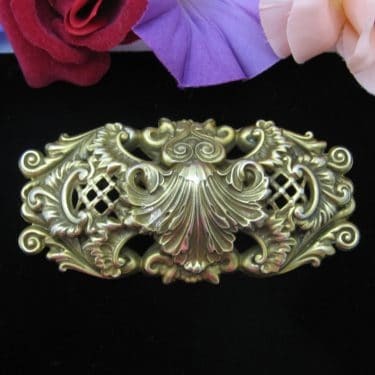 Goldtone Relief 4″ LENGTH Fancy Curls!